Register Today for Summer and Fall! Get the Same Quality Education at a Fraction of the Cost! 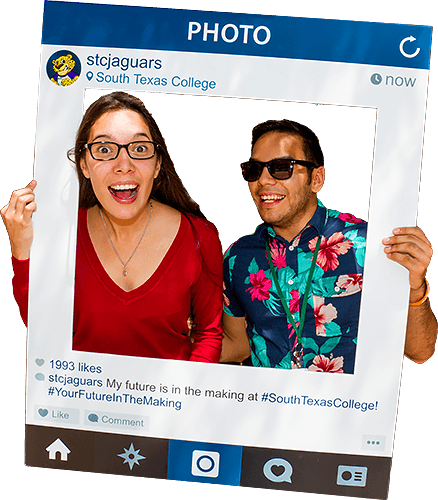 At South Texas College, we take pride in emphasizing the quality of our education along with our affordable tuition rates. It's our priority to provide outstanding instruction from dedicated staff and faculty. With the lowest tuition rates in the Valley, plus affordable payment solutions like payment plans and pell grants, you too can graduate Debt-Free! The Most Affordable College in the Valley. 121 Degrees and Certificates available. South Texas College faculty members are devoted to their craft and always provide the highest quality instruction to students - whether by training for emerging instructional technology, learning new ways to enhance student engagement or ensuring each student receives personalized instruction. Our instructors are driven by their passion to guide, advise, motivate and enhance student learning. Whether by demonstrating patience or highlighting preparedness, our instructors are constantly making strides to achieve one of our biggest priorities: student success. Choosing a college or university is one of the biggest decisions that your maturing child will face. As a parent, there are a few things you can do to ease this decision process and help your child find the institution of higher learning that is right for them. The cost of attending public and private universities has been rising steadily the last few years, leaving many with a large amount of debt to pay off after graduation. One solution would be to attend a community college to save on tuition for the first couple years. This can dramatically reduce the amount to student loans to pay for classes. Take a look at our tuition and fees. Most core curriculum courses in the State of Texas are transferable to any public college and university. 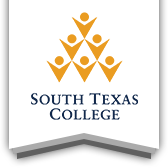 This means that the core courses taken at South Texas College will transfer to any Texas public institution. View our Transferable Courses at tccns.org. Many high school graduates haven't yet picked a career path. When starting out at college, it’s important explore the possibilities while classes are cheaper. One money-saving solution is to live at home and commute to school. While not all college students live at home, you can save thousands of dollars in the long run. Costs for Room & Board are a large part of student debt, which can account for almost half of expenses. Find an educational program that matches your personal interests and meets your specific career goals. People who wish to further their education turn to us for professional development, corporate training, and personal enrichment. We offer 32 programs that can be completed entirely online without ever setting a foot on a physical college campus. We're dedicated to helping active & former military personnel get a quality education. Have a look at our complete veteran opportunities. Take our Career Coach assessment today, identify your strengths and interests, and declare the major you want with all the confidence in the world! By taking part in the program, your high school student can take academic or technical college courses that will get them closer to a diploma while jumpstarting their journey to a postsecondary degree from South Texas College. Since tuition is waived for Dual Credit courses taken in high school, you can potentially save hundreds to thousands of dollars in tuition and other educational expenses during your student’s college career! The Dual Credit Academies helped me grow as an individual. It gave me a clear perspective on what to expect after college, at a university. It was one of the best decisions I could have made. It saved us and her a lot of money in the long run. I am grateful that my daughter got the opportunity to become something greater than she expected. The Dual Credit Academies helped her find her passion in engineering. Need a Ride? Consider JagExpress! Whether you’re heading to class at the Tech Campus or taking advantage of our Park & Ride feature, you can count on JagExpress to get you where you need to be. We offer convenient routes between each of our five campuses along with many points in between. Using JagExpress is fast, easy and free to the public!